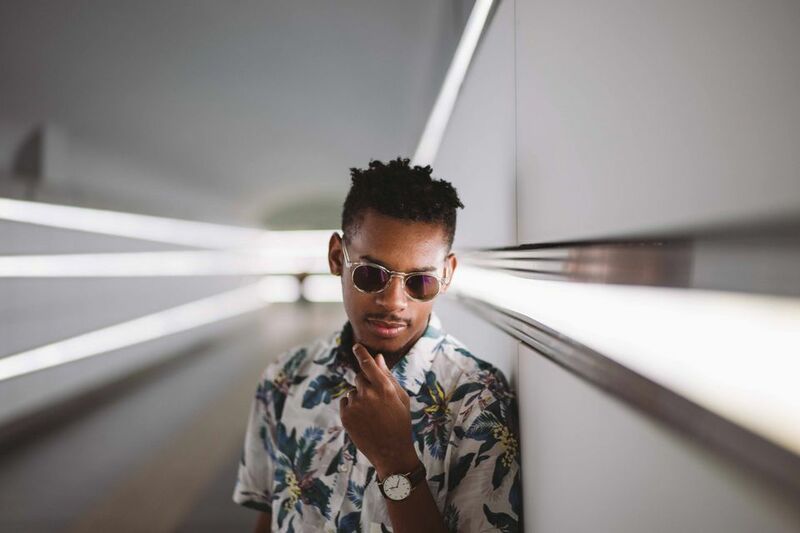 Aundre Larrow interviews portrait and lifestyle photographer Karston Tannis, known to most as Skinny (@skinnywashere). Based in Brooklyn, New York, and often wandering around the world in search of his next adventure, Skinny tells us his journey into photography and how he keeps finding inspiration while at home and on the road. What was the first trip you ever took? What did you capture? What did you learn on it? The first trip I've ever taken that I was able to document was in 2003. A few friends and I took a road trip to Florida with our sponsor Bulldog Bikes. I was able to document scenes and antics from our BMX escapades. At the time, I was learning and shooting with film. I shot with a Canon AE1 permanently broken at 1.4 aperture. I learned the art of timing and patience. Each shot was meticulously crafted while waiting for that decisive moment. What is your mentality when you are traveling? When traveling, my mentality is to absorb everything. I immerse myself in the culture and history of the location. I love to explore, so I'll reach out to a few locals to meet and learn from them. I often find myself wandering around the streets, observing and talking to locals at restaurants or hidden jaunts. What are your essential items for each trip you take? For each trip I take, I always have my camera, drone, and computer. I also bring a few hair products and my trimmer to remain presentable. How do you approach someone in another country to take their portrait? Taking street portraits is a delicate dance. I usually gauge body language and perceived mood. Sometimes I'll point to the camera and start shooting. Other times I'll shoot from a distance and give them space. It seems to be easier in smaller cities, as in major metropolises, everyone is usually on guard at all times. Do you do research before you go on trips? How do you decide where you want to shoot while you're there? When preparing for travel, I try to research a few mandatory locations, but I do leave room for wanderings and unexpected gems. I make sure to check out the major landmarks, though, I've been avoiding them lately due to unrest in particular regions. Where haven't you been yet? I haven't been to Asia or South Africa yet, however, I'm hoping that will change this year. What photographers do you follow that have inspired you to go to a new place? There are so many to list. The photographers who inspire me to travel often depict their city and home the best. For Cape Town, I follow @diaryofalex. For Barbados, I look to @scenesofbarbados. And for South Korea travel inspiration, I admire @s.way’s work. Are you ever worried about having your equipment out in a foreign country? How do you keep yourself and your gear safe? I'm always worried about having equipment out, however, it's a risk I'm willing to take for the shot. What good is a camera if it's tucked away nice and safe? Obviously, you can take precaution and observe an area first. But sometimes, you don't have that luxury. My advice is to never let your guard down. Don't let people get too close to you. Growing up in New York has made this second nature for me. How do you get anywhere when you travel? It seems like you shoot everything! Doesn't traveling get a little lonely at times? How do you combat that? Ironically enough, I'm seldom lonely when traveling. There are times when I miss my wife and family. I'll give them a call or FaceTime when I can. What are you trying to achieve with your travel photography? Is it different than when you're home in Brooklyn? For every trip, I try to return with a full story from beginning to end. I tend to overshoot so I can accurately present the narrative. My goal is to create and capture memories, conjuring a nostalgia or excitement for the viewers. If I wanted to travel with you, what would you tell me are your basic tenets? I like to think I'm a pretty easygoing travel companion, but there are a few mandatory items. The day starts with sunrise and ends with sunset. I try to utilize as much of the day as possible to cover the most ground. You never know when you'll return to a particular place, so it's best to get out there and experience all of it. What makes you such a great traveler? I think my personality makes me a great traveler. I'm easygoing, always up for an adventure, and I can keep spirits up on long journeys. My friend @stewyiscool once told me that he could shoot all day in NYC and only come back with one thing he really liked, but while he travels, he feels like there are endless moments to be found. Why do you think that is? I think it's a matter of perspective, however, travel is known to inspire artists. There's nothing like exploring foreign territory with fresh eyes. The colors, shapes, sounds, smells: they reignite all senses upon arrival. It's a beautiful thing. You've been to dozens of states and countries; which places do you find yourself most at home? I often feel most at home in larger cities where the streets are filled with hustling and bustling people. Conversely, this makes me appreciate calmness and serenity of smaller cities. What is the best travel advice you've been given? The best advice I've been given is this: Travel while you're young, agile, and able to enjoy it. What images or trips were pivotal to your growth as a travel photographer? Honestly, I'd say every trip has been pivotal. Each destination yields new friends, new experiences, and new memories. Are you a window or aisle seat guy? I live for the window seat. On long flights it gives you additional sleeping positions! I'm not sure where I'll end up next. It's been an interesting couple of years, but I'm up for all adventures! For now, I'm diving into various formats to display my travels, like this latest video I formulated from a recent trip to Oregon and Washington. We also made a hashtag - #NYCxPNW.